my name is Hamza, going to be 26 years old in summer, from morocco. My fiancée is younger than my by 8 months. Actually we met at any possible time we could when she has time off work and when i do too. During that time, before she left morocco we traveled to Paris for a weekend. and then she left, we've been texting and video chatting all the time. I applied for tourist visa because i thought that i can, I’ve been to Uk two time for 2 weeks. and also france. but unfortunately i got denied. then we planned another trip and that trip got delayed by two months which mean we met after 8 months ( we done a trip to japan and south Korea where i met with some of her friends there ). it has been an amazing week, now we decided to get marry, we already did a little engagement party with just family. And now we just don't know what to do next, next time she can visit me is in 8 months so we can marry here. but it's so much time. 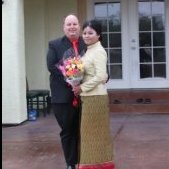 we don’t know if we just go for k1 visa right now ? we would like you to advise us on what to do. It's just that we are afraid that i got denied again, and that may effect on our case. Please what should we do, what do you think about our situation. 1. Tourist visa will be a waste of money. 2. You can apply for K1 visa, but it's notoriously tough for Morocco. Doesn't help that you had a "engagement party" also. Though you have more chances than others, due to a lot of face time already. 3. Best advise? Have your fiance come to Morocco, get married, apply for CR1 visa. Being denied a US visitor visa shouldn't have any affect on a K-1 or CR-1 approval. Though it's not easy to be approved for a tourist visa from Morocco, if you want to try, go ahead. I think you will do fine going the K-1 route, though I still would recommend the CR-1 spousal visa over the K-1 due to it having many more benefits (cheaper and you can work/travel right after arriving in the US unlike the K-1 where you must wait several months). Plus processing times for the CR-1 visa are only slightly slower than the K-1, and if you can handle waiting a few more months, for a you'll benefit from being a permanent resident as soon as you arrive in the US. And if you do decide to go the K-1 route, having an engagement party isn't a problem unless it looks too much like a marriage ceremony (no signing of any paperwork, or changing into the numerous wedding clothes). If it's just photos of you and family sharing milk and dates/sweets, that should be fine. I need to Know where to get tickets to Morocco from the US for 100 bucks. I'll be in Morocco next week. If tickets are that cheap. Have her fly down for a weekend, get married, then CR1. If not, it is about 8 months from filing to noa2 roughly on a K1. 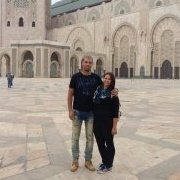 My fiancee and I had Visa in hand in 8 months, but as others have said Morocco is tough on K1 Visas, but you have some good face time together. we thought that Cr1 is the best too, but it’s gonna take 8 months for her to visit me and then marry which cost 3 weeks maximum. And the maximum duration she can visit me is 2 weeks in december. As others have recommended go the CR1 route if you can by marrying, otherwise, settle for the K-1 which I heard it's tough for Moroccan citizens. Can we know your $100 airfare ticket secret? we will wait until December to marry, hopefully it will not take so much time, my fiancée has only 2 weeks. We will do our best, we’re just lost. Hi, for tickets it’s just because I’m aircraft mechanic, my airline can provide 90% discount to staff. Where in Morocco do you live? I'm going to take the less popular route and say do the K1. Sounds like money isn't a problem if you're making all these trips. Unless you really have to work asap or can't take the risk of losing money on a k1, I'd say do that. I understand that the k1 may be tougher to get but it's pretty much made for people like you. Have a good petition, frontload, you don't have to say you had an engagement party unless someone asks you. You're both the same age, you've had a lot of face to face time, I think the possibility is probably high, unless you have a criminal record or something. The way I see it, in 8 months you will probably have the k1 or know that you're denied for it, at which time you can apply for the cr1. Either way you're going to be getting married in about 8 months, if that's the only time you can see your fiance. I don't see the purpose of wasting 8 months waiting to apply for the CR1 when getting denied for a K1 won't stop you from applying for the CR1 if it comes to that. Of course, this is if you can afford to not work for a few months when you come to the US on the K1, or to reapply for the CR1 if you get denied. what you said here was exactly what i thought first. and about the party, is nothing i think you know in Morocco people do two parties, one little for engagement no paper signed at all. And one bigger and thats is marriage party. Also for the money, she has no job now. can she use savings from last job ? her tax return from last year is ok. Regarding the engagement party photos, you can include them in the petition as long as they do not look like wedding photos. The CO who will interview you should be able to recognize the difference, and I am sure that you know the difference as well. We did not have an engagement party, and when my fiance (now husband) went to his interview, the CO did ask about the engagement and why we did not have an engagement ceremony or party, since having one is very normal and customary in Morocco. I've also seen other cases where they did include engagement photos and were approved with no issues.